A wedding receptions venue like no other. Based in Seaford Town high up on Seaford Head cliffs The View is a very popular wedding venue with a unique countryside, seaside, cliff-top setting overlooking Seaford Bay with the 'wow factor'. 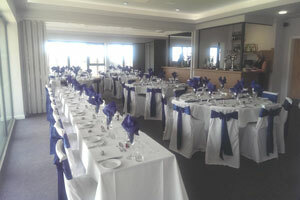 Imagine your wedding reception with a cliff-top panoramic backdrop overlooking Seaford Bay... The Views are simply stunning. The View wedding package offers a wide range of excellent comprehensive features and facilities, at the same time representing excellent value and convenience. Another welcome feature is the versatility of the venue to adapt to just how want it to be for you and your guests. Our enthusiastic wedding team and chef are ready to support you every step of the day. We offer an all inclusive wedding package for 50 guests with options and menus for you to customise and extend your wedding package just how you want it. There is even the options of a wedding marquee, garden patio and viewing terrace. You can request a leaflet and download and print a copy of our wedding leaflet from this website but best of all, why not call us for an informal chat and tour of The View. You won't be disappointed! Based in Seaford Town high up on Seaford Head cliffs The View is a very popular wedding venue with a unique countryside, seaside, cliff-top setting overlooking Seaford Bay with the ‘wow factor’. Imagine your wedding reception with a 360 degree panoramic backdrop. The Views are stunning. The View wedding package offers a wide range of excellent comprehensive features and facilities, at the same time representing excellent value and convenience. Another welcome feature is the versatility of the venue to adapt to just how want it to be for you and your guests. Our enthusiastic wedding team and chef are ready to support you every step of the day. We offer an all inclusive wedding package for 50 guests with options and menus for you to customise and extend your wedding package just how you want it. 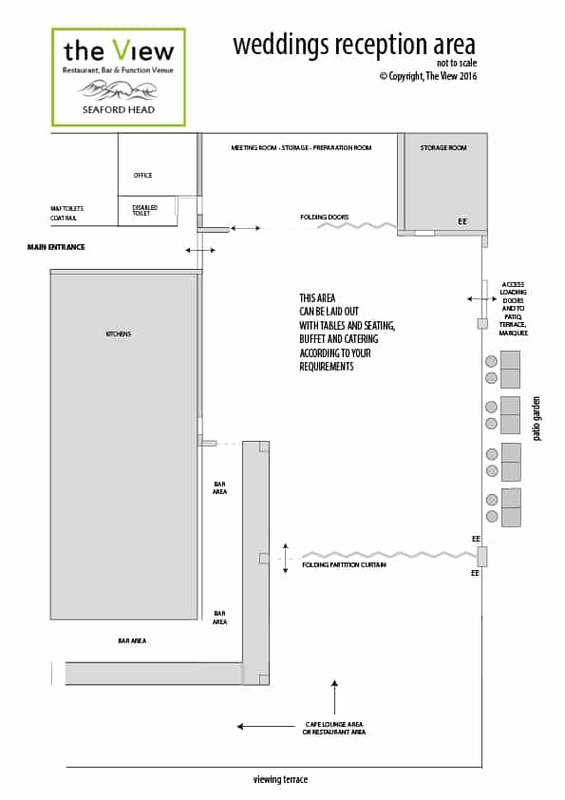 There is even the options of a wedding marquee, garden patio and viewing terrace. You can request a leaflet and download and print a copy of our wedding leaflet from this website but best of all, why not call us for an informal chat and tour of The View. You won’t be disappointed! Based in Seaford Town high up on Seaford Head cliffs The View is a very popular wedding venue with a unique countryside, seaside, cliff-top setting overlooking Seaford Bay with the ‘wow factor’. Imagine your wedding reception with a 360 degree panoramic backdrop. The Views are stunning. The View wedding package offers a wide range of excellent comprehensive features and facilities, at the same time representing excellent value and convenience. Another welcome feature is the versatility of the venue to adapt to just how want it to be for you and your guests. Our enthusiastic wedding team and chef are ready to support you every step of the day. We offer an all inclusive wedding package for 50 guests with options and menus for you to customise and extend your wedding package just how you want it. 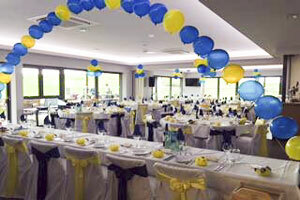 There is even the options of a wedding marquee, garden patio and viewing terrace. You can request a leaflet and download and print a copy of our wedding leaflet from this website but best of all, why not call us for an informal chat and tour of The View. You won’t be disappointed!